The question is from the topic circles. 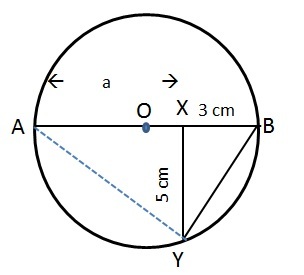 From the diagram, we have to find out the circumference of the circle. A perpendicular to the diagram of the circle and it's distance is given. CAT Geometry questions are heavily tested in CAT exam. Make sure you master Geometry problems. 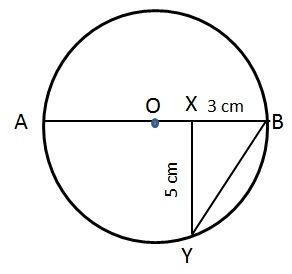 Question 31 : What is the circumference of the below circle given that AB is the diameter and XY is perpendicular to AB? Method of solving this CAT Question from Circles: Finding the radius of the circle will help! Look at the triangles present!. Therefore they are similar triangles and sides are proportional! The question is "What is the circumference of the below circle given that AB is the diameter and XY is perpendicular to AB?" Hence, the answer is 34π/3 cm.